Now a days you would only ever find Lily up in her dormitory for her spare time. She would be reading a book but would never tell what it was called or what it was about. "It's just some history." Lily said after Albus asked for the third time that week. She was telling the truth. "Yes but what kind of history." He said, getting a bit annoyed. Secretly she gripped onto her school bag which had the book inside. She wasn't comfortable if it wasn't with her anymore. All the stuff she was finding out was tormenting her nightmares. Last night she remembered dreaming about the lake. There were black cloaked people all around her and a stag burst out from her wand. She read that part of the book last night too. "Lily, we better get going." Hugo said once Albus dropped the matter. "We've got to get to Transfiguration." They walked back up the stairs together. Archie seemed to have disappeared but they didn't have time to wait for him. There was already a line at the door. Archie was with Isaac and Jessie. Further up the line Lily spotter Sire with his friends. They didn't look their way. And right at the end was Grace and Alice leaned against the wall. They didn't say a word to each other. "Alright class!" Said Professor Terrian as he opened the door to his class. "Quiet down and make your way to your seats." They all stumbled inside, budging people out of the way. Lily moved to the front of the class and to her disappointment Hugo sat with Archie further up. Instead Grace sat down and took out her wand, not saying a word. "OK everyone. Today we will try to make our match sticks disappear since Alice is the one one that has successfully done so." There was a groan from the room. They had been doing this for a whole week so far. Professor Terrian liked to do things slowly. "I know we've been doing it for a while but you have to learn. We'll be done by Halloween." "But that's a week away!" Someone said from the back. "Which means you have alot of time to practice." Terrian said cheerfully. "Now. Grace hand a match stick to everyone and get to work!" There was nothing else fun about that day. The only fun thing was when Sire nearly burnt his toes off in Potions and they all got out early. Just for fun as they passed Sire on the way out Lily said "Thanks very much, Sire" and winked at him before she got out of sight. The Gryffindor common room was crowded as ever when Lily got back from dinner. She sat by the fire and took out a bit of parchment, quill and ink. 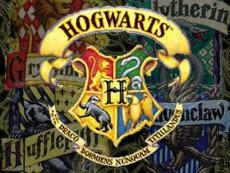 Hogwarts is great! It's everything I ever thought it would be! Me and Hugo have stuck together but we are also making other friends like Isaac. You would never even believe who came! Archie McKenzie from the village. We were all shocked. Homework hasn't been that bad. We haven't had as much as James though who is finding it hard to find the time to do it with Quidditch and everything. I hope to hear from you soon and could you put in a picture of Padfoot? Thank you! She thought it was best not to mention the book. She can do that after she's finished it. As she stood up to go to the Owlery she saw Grace sitting at the window with Diana. She couldn't tell what Grace was saying but after she had finished Diana gave her a hug and ran to the girl's dormitory's. Why would Diana hug Grace? It was in Defence Against The dark Arts when Lily and Hugo got a detention. Lily was telling Hugo about Grace and Diana. Professor Murch caught them talking and told them to come to her office at nine o'clock that night. They were staggering back up to Gryffindor Tower after cleaning fourteen corridor floors at two in the morning. "I wonder what dad will say if I sent him a letter?" Hugo asked nobody. Lily laughed weakly. She was too tired to be walking. She was surprised to see a figure sitting on a chair by the fire when they finally got there. They both looked at each other and shrugged. Lily walked over to the person and noticed it was grace, sleeping. "It's Grace." Lily whispered. "You go to bed. I'll get her upstairs." "Right. 'Night." And before Lily could reply he was gone. Lily nudged Grace gently. Nothing happened. She tried again, harder and Grace woke up startled. "Grace. It's two o'clock in the morning." Lily said. "It is?" Grace asked, stretching her arms out. Lily nodded. "Oh. Well then..."
Grace picked up a book that had fallen on the floor and walked up the girls dormitory's stairs. "Are you coming?" Grace asked. "Yeah. I'll be up in a second." Grace disappeared and Lily sat down. She put her face in her hands for a few moments. When she took her hands away she saw something on the floor. Lily picked it up and saw Grace in the picture with four other people. She waved up at Lily. She was a few years younger than the Grace now. Two of them were alot older than her. Obviously her parents. They smiled at Lily as well. But it was the boy on the right that caught Lily's attention. He was only a few years older than Grace and looked a lot like her. They even had matching smiles. Grace had never seen him at Hogwarts before. And she was sure Grace hadn't either.